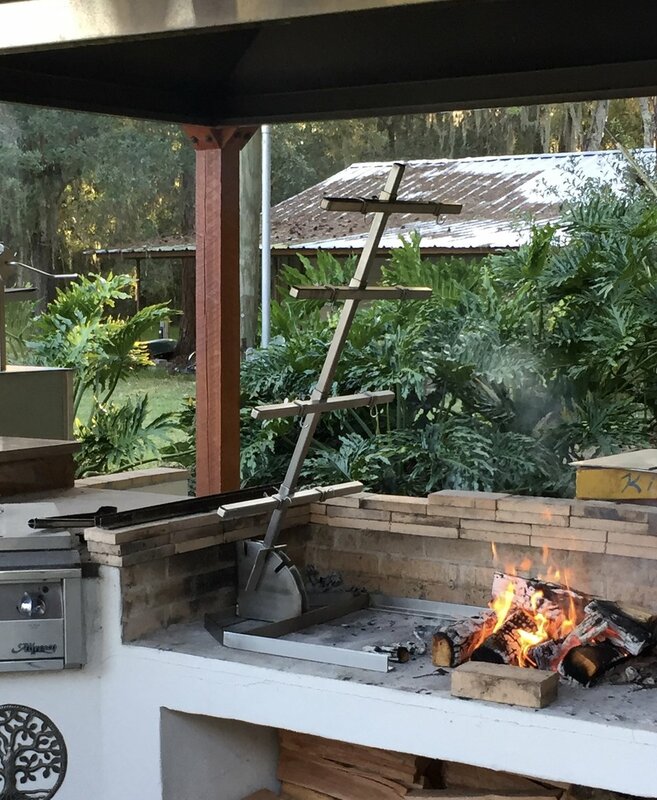 What makes an urban asado argentine-style Barbecue grill different from other grills? An angled grill surface constructed of V-grates that channel and collect juices in the drip pan to use for basting & to create sauces. This also helps reduce flare-ups. The ability to easily raise and lower the cooking surface as needed to reach the desired temperature. This also allows you to have complete access to the coal bed below which is a great place to roast vegetables. Having access to multiple heat zones is one of the many benefits of our grills. A drip pan to add your favorite spices & cooking oils to blend with the meat juices to create a delicious baste. Whether you are grilling thick ribeyes or hamburgers, building sauces in the drip pan is an easy way to introduce more flavors & style to any meal. Dancing flames, crackling coals, and intoxicating aromas exclusive to a wood fire. We take great pride in creating a grill that you will love to look at almost as much as you will love using. Your new grill will go through a multi-stage finish process to remove burn marks from the welding process in addition to establishing a showroom finish.